‘press release’ covers the press releases sent by NOMOS. GLASHÜTTE/BERLIN, FEBRUARY 2019. The iF Design Award is one of the most important design prizes in the world. 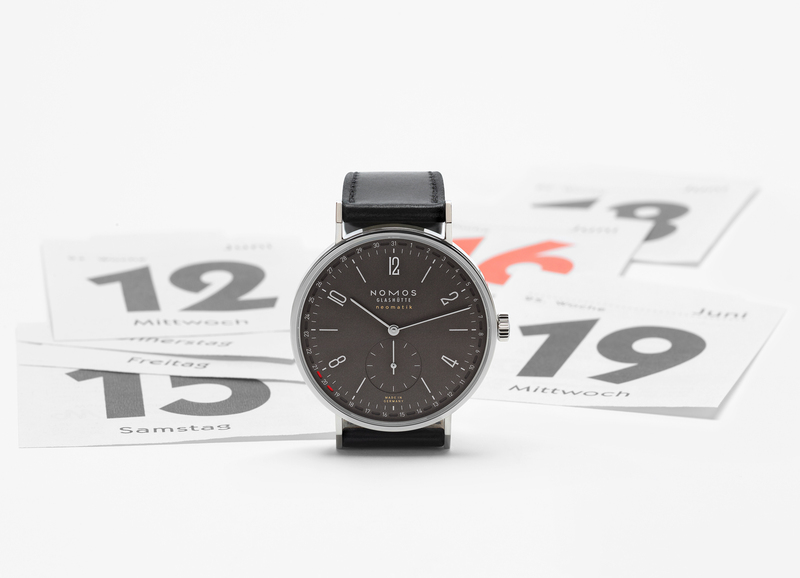 This year in Hamburg, it was given to Tangente neomatik 41 Update from NOMOS Glashütte. This new model is based on a classic that is now over 25 years old: Tangente. In 2018, Tangente received a new date ring. Placed on the outer edge of the dial, it displays the entire month at a glance. With this automatic watch developed in-house (design: Michael Paul), NOMOS Glashütte achieved something that happens very rarely in the watch industry: a technical as well as a design innovation. Only shortly after its release, this is already the second international prize for TangenteUpdate: The same model was awarded the Challenge Watch Prize for its technical and 2/2watchmaking feats at the Grand Prix d’Horlogerie de Genève in November. This latest iF award is the fourth in a row for the Glashütte watchmaking company: Before Tangente Update, NOMOS models Minimatik (2016), Tangente neomatik midnight blue (2017), and Metro neomatik 39 silvercut (2018) also received awards. Tangente Update from NOMOS Glashütte received high accolades in Geneva last November—and now the spotlight is once again on this innovative timepiece thanks to its brilliantly refined darker revamp. Glashütte/Berlin, January 2019. Following an outstanding end to 2018, NOMOS Glashütte presents a new version of its successful Tangente neomatik 41 Update model, featuring a dial refined with ruthenium, turning it elegantly dark. The innovative caliber technology and reengineered date display of this model recently won over the jury of the Grand Prix d’Horlogerie de Genève, the most important award in the watchmaking world. The dashing new dial is enhanced with ruthenium, a member of the platinum group and a very rare element. Depending on the light conditions, the color shifts between dark gray and golden brown—with unwavering elegance. The date ring that circumscribes the dial bears two contrasting red markings that frame the current date, a design that is exclusive to NOMOS Glashütte. “The date shows what this caliber can do,” says NOMOS designer Michael Paul, 44, who gave the Tangente model its Update: “It gives you a sense of the immense watchmaking expertise that went into its construction.” With DUW 6101, the second neomatik movement from NOMOS Glashütte, the watchmaking company has set a groundbreaking new standard. And a very thin one at that, since the caliber measures just 3.6 mm in height. The quick-change date function can be easily set with a slight turn of the crown in either direction. With a diameter of 41 millimeters, Tangente Update is a large watch, and particularly masculine in its new dial color. This impression is enhanced by a robust stainless steel case and a sapphire crystal back, which displays the richly decorated caliber at work within. Tangente neomatik 41 Update ruthenium is available at select retailers from spring 2019. Campus is growing, with three brand-new watches joining the series. It began two years ago with “The Graduate’s Club”—and now we are building on the success of these beautiful hand-wound versions of the classic NOMOS model Club. The new additions have an automatic movement and, for the very first time at NOMOS Glashütte, a bracelet as well. These neomatik models in the Campus series are based on our classic Club design, which sports a youthful and robust case. The dial, which comes in light and dark versions, bears a unique combination of Roman and Arabic numerals. Thanks to the new and innovative neomatik caliber inside these watches, DUW 3001, they are well-proportioned, highly precise—and yet remain surprisingly affordable. Automatic timepieces with in-house built calibers have never been seen before in this price range. Another first: the new NOMOS bracelet made of stainless steel. Club Campus neomatik, Club Campus neomatik 39, and Club Campus neomatik 39 midnight blue are available for pre-order through our partners over at Ace Jewelers. They will be presented for the first time at Baselworld 2019. Werner Aisslinger is one of the best-known contemporary designers, whose often very artistic works are exhibited in museums worldwide. 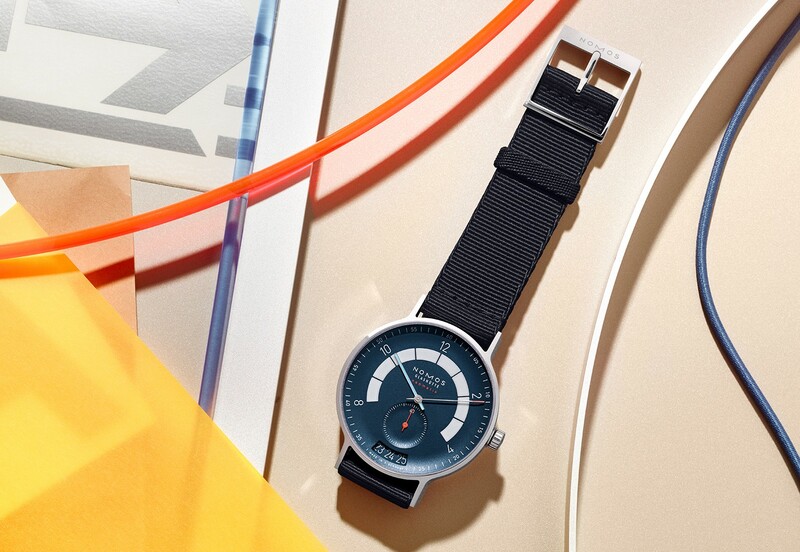 He recently collaborated with NOMOS Glashütte to create a new timepiece: Autobahn. It has now received the German Design Award in Gold. Mr. Aisslinger, why do you think the German Design Award jury decided to bestow its highest honor on Autobahn? When we were designing Autobahn, we wanted to create a watch that was “of the moment” and yet also a timeless, archetypal piece that couldn’t be pinned down to anyone decade. We took the design affinities of car enthusiasts and combined them with the tradition of NOMOS Glashütte to create a piece of art that could be worn every day on the wrist. I am extremely pleased that the German Design Award jury recognized our work and saw fit to award this prize. This watch isn’t what we would normally expect from NOMOS Glashütte. We felt that NOMOS Glashütte should speak to new customers. We really wanted to stretch the brand’s boundaries and try something new. There was a lot of experimentation before we finally got to the final product. But in the end, I believe it paid off: We have succeeded in generating fresh attention for the NOMOS brand without alienating loyal customers. What are your favorite details about the design, and which of the three models do you wear? One of the most striking details is the deep bowl-shaped dial, which is something that catches my eye every time. The curved edges are reminiscent of the Avus street circuit in 1960s Berlin—or of the fenders on vintage Mercedes Silver Arrows. That steep slope transitions seamlessly to the dial, a form that is echoed by the gentle curve in the sub-seconds. The dials themselves and the wide superluminova arc are also important, as well as the extended date window, which reminds me of the analog odometers on classic cars. Perhaps the most important aspect, however, is the ultra-precise manufacture of these watches. A beautiful design demands precise craftsmanship. I wear the model with the white silver-plated dial. Autobahn is truly my watch—for all times. 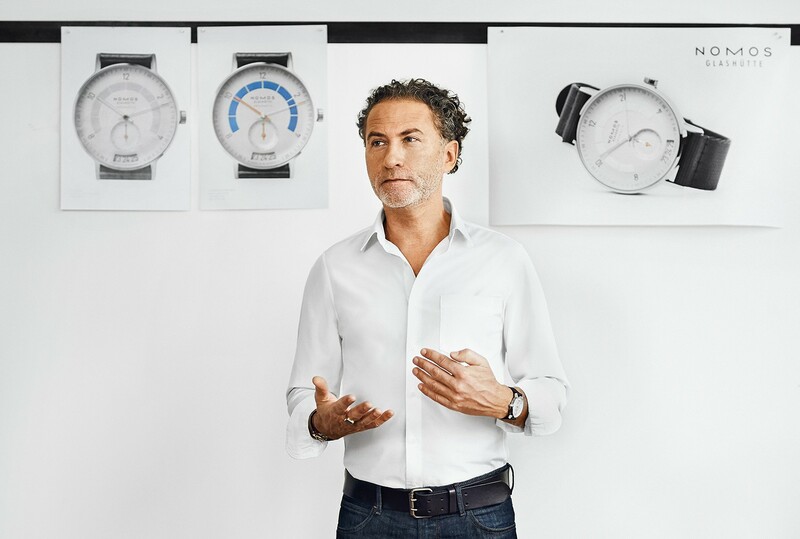 NOMOS Glashütte has officially captured its sixth Good Design Award, a prestigious distinction initiated by the likes of Charles Eames—this time for the model Autobahn. Glashütte/Berlin, January 2019. NOMOS Glashütte is pleased to join the winners circle for the oldest design prize in the world, the Good Design Award. The honor was bestowed on Autobahn. The internationally renowned product design award was established in 1950 by a group of designers that included Charles and Ray Eames. The award is presented to products that provide convincing solutions in their form, function, aesthetics, and quality. Autobahn is one of the latest creations from NOMOS Glashütte, the automatic watch with a date display features clear forms, dynamic contours, and water-resistant performance to 100 meters. It is equipped with the most innovative movement from NOMOS to date, the neomatik caliber DUW 6101. With a thickness of just 3.6 millimeters, this slender movement concentrates an exceptional amount of expertise: 170 years of fine Glashütte watchmaking, meticulous German engineering, a generous dash of high-tech, and countless hours of craftsmanship. For Autobahn this award makes three. 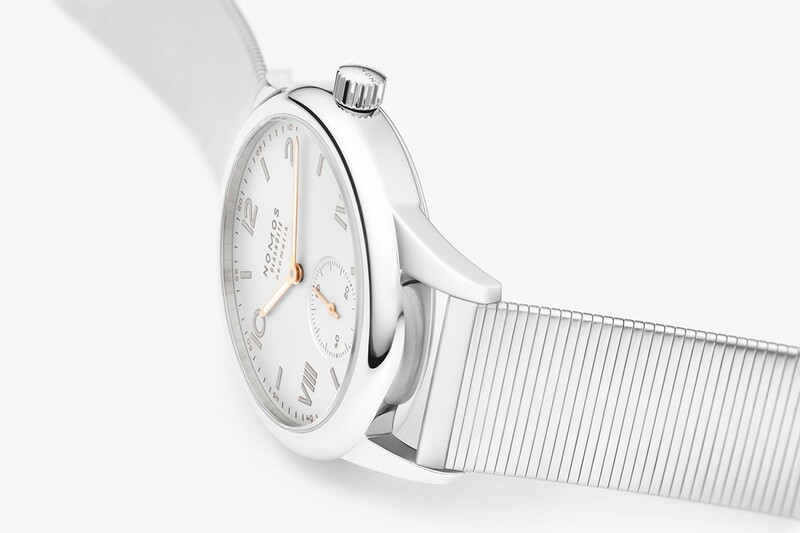 Shortly after its launch in April 2018, the timepiece from NOMOS Glashütte received a Red Dot Award. In November 2018, the German Design Council, founded in 1953 by the German legislature, and a global parliament of good design ever since, awarded its highest honors to Autobahn with the Gold category. 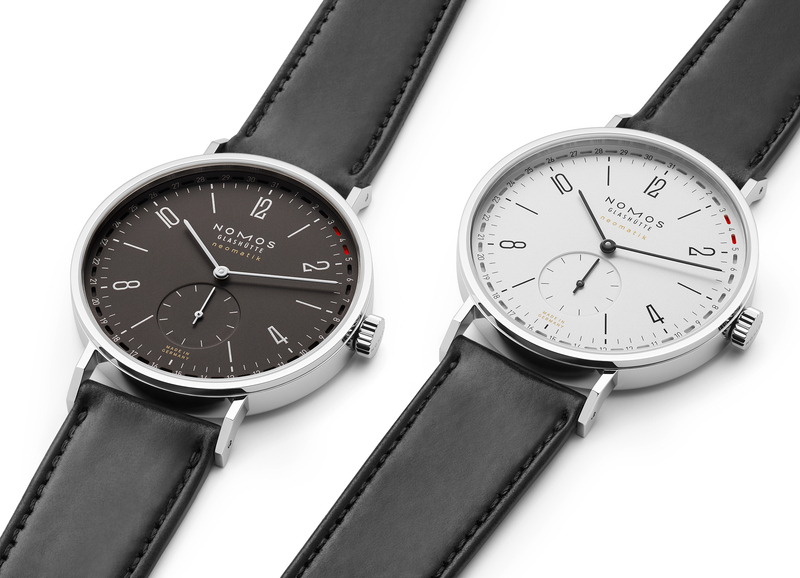 And for NOMOS Glashütte, the Good Design Award is becoming something of a tradition: First presented in 2011 for the model Zürich, the watchmaking company also received the award for Tangente date (2012), Ahoi (2013), Metro 38 (2014), and Minimatik (2015).